With the country anticipating a rather royal arrival on the horizon, we’ve finally hit Royal baby fever. 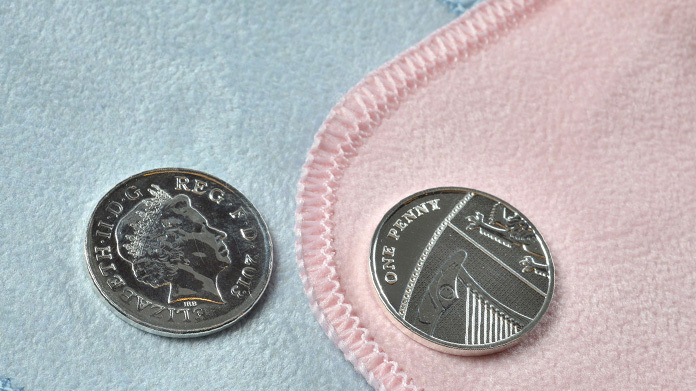 So when we were asked to come up with an idea that would help The Royal Mint to promote their silver penny coins as gifts for newborns – because the giving of silver bestows good luck – it was an opportunity too good to miss. The fact that the Mint has a natural royal connection and that they’ve been making coins to mark momentous occasions for over 1,000 years meant they were a natural organisation to be part of the big occasion. We came up with the cunning plan to give one of the Mint’s silver pennies to each baby born on the same day as the future monarch. A quick Facebook app later (where parents could prove the birthdate of their new arrival by uploading a birth certificate), and we were ready to go. It turns out we hit a rather rich seam. We’ve been in every major national newspaper (bar The Guardian, the spoil sports. Early pieces came thanks to the Daily Mirror, Daily Telegraph and the Evening Standard. Then BBC News Online, the Daily Mail, Daily Express, The Times and even the Independent joined in with the fun. From there, the story hit broadcast with news pieces (five of them) on BBC Radio 4 and BBC Radio 2, LBC, CNN, ITV and Channel Five News all pitching in. We also sorted a few pre-recs with BBC regional radio and a piece to go out on the big day with SKY News’ Royal Corrie at The Mint. Then, not satisfied with that, we went international. CNN syndicated a piece, CBS got involved, NBC carried the story on the Today Show (speculating that people might be getting C-sections to take advantage of the offer, bizarrely). Oh, and we’re cleaning up in the lifestyles too. HeatWorld, Now, Hello, E!, People, FemaleFirst, InStyle … you name it and, basically, we’re there in one form or another. It’s been one of those weeks. We’ll have more of them please!